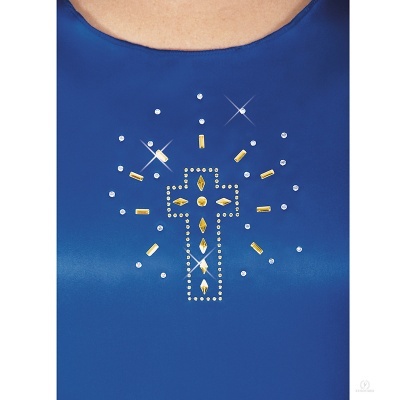 Iron-on shining cross appliqué. Measures 3.75" by 4.25". Instructions to apply on clothing are included. Eurotard Angel Dress $33.95Clearance Price!